CER-802 is an ultra-pure oral formulation of D-mannose currently in development for the treatment of Mannose Phosphate Isomerase (MPI) deficiency, also known as MPI-CDG. 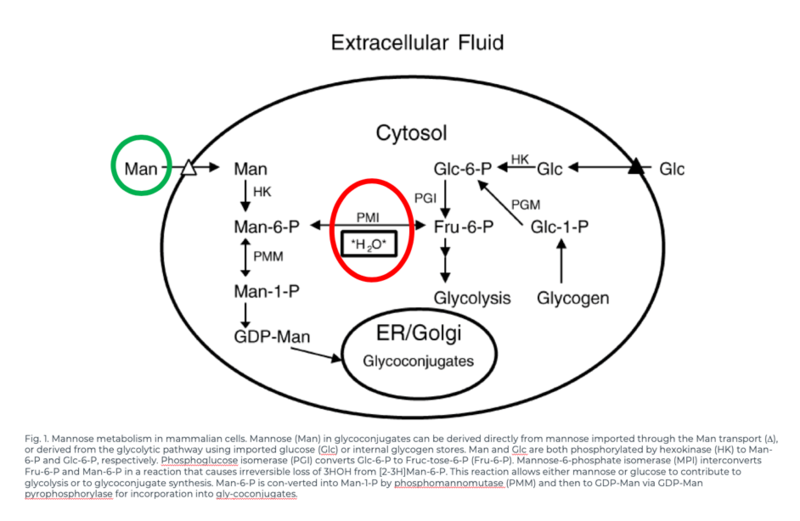 MPI deficiency is caused by loss of function mutations in the MPI gene encoding an enzyme responsible for the conversion of fructose-6-phosphate to mannose-6-phosphate, eventually providing GDP-mannose as a donor substrate for glycoprotein synthesis. We believe that substrate replacement with CERC-802 in patients with MPI deficiency should facilitate the synthesis of GDP-mannose via compensatory pathways, thereby restoring the ability to produce mannose-derived glycans. CERC-802 is an ultra-pure formulation of D-mannose that serves as a substrate replacement therapy. Oral administration of D-mannose replenishes critical metabolic intermediates, reduced or absent due to a genetic mutation, to support glycoprotein synthesis, maintenance, and function.